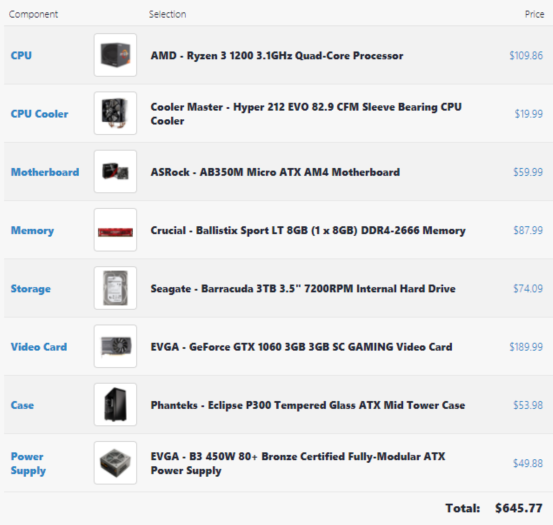 Unfortunately, building a PC is still expensive, but I will provide examples of two possible mid-range builds (via PCPP) which try to maximize the value out of every dollar spent. Don’t take any of these lists as gospel. Rather, starting points to help form your own PC build. * The selected motherboard does not include wifi (if ethernet is not an option, get a wifi dongle or a different motherboard). * These builds were made to be upgradable down the road. More RAM can always be added if needed. The gaming PC can have a SSD added and the workstation PC can have a hard drive added. * Cheaper cases are available but cheaping out on a case is a mistake you’ll make everyday. * The power supply included in the builds is fully modular. While the watt capacity is relatively low, down the road, this will become less of an issue. Although, if you do plan on upgrading to a high-end video card, a 500-600w power supply is recommendable. Performs like Xbox One X but is also a full-on PC. 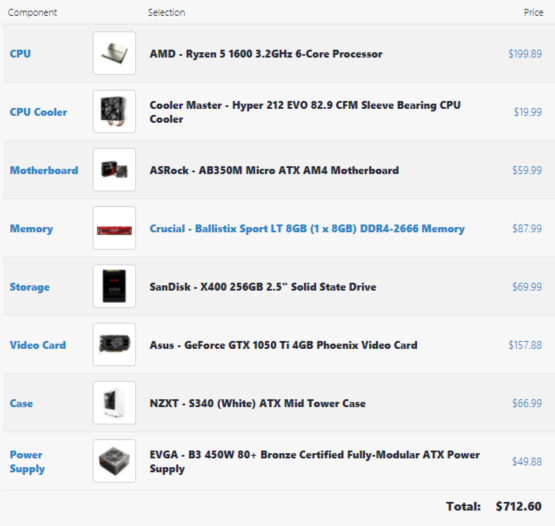 For video editing, 3D modeling and overall productivity.